As with any industry, SEO has its own terminology and while exploring SEO strategies, these terms will be constantly encountered. Learning all of these might be difficult but is ultimately crucial. Below are listed twelve SEO related terms that you should learn. 1. Search Engine Optimization and Search Engine Marketing: Today, these are the keys to success for any given site. SEO refers to any and all actions performed for the express purpose of improving a site’s ranking. When related keywords are searched in search engines the applicable pages are ranked in order of relevance. SEO must be constantly performed on the page and off the page in order to maintain or improve these rankings. Search engine marketing or SEM refers to the means through which a website is marketed for search engines. One such way involves the use of paid ads or paying for clicks. 2. On-page and Off-page SEO: On-page SEO refers to actions performed on all aspects of the page for the purpose of improving a site’s ranking. These are done on the site’s URL, meta tags, content, links and other elements of the actual page. Off-page SEO has to do with the actions performed outside of the page. This mainly involves creating backlinks in other locations that lead back to the site. 3. SERP: This is the page that appears after a search engine is used. It lists all the results that relate to the search term. There are often multiple pages, with each ranked by the search engine based on relevance. Each search engine has specific algorithms to determine a site’s relevance. 4. Search Engine: These are software, usually internet based, with the ability to explore the internet based on a word or phrase to find related pages, posts, pictures, videos and such. Here are some of the more popular search engines; Google, Yahoo!, Bing, and AOL. Each has its own unique algorithms through which it orders pages, but there are many general parameters across all. 5. Domain name: The domain name is simply the unique internet address of a website, typing or clicking this will lead to a particular website. Keep in mind that this is different from a web page. Your domain name could be a “www.freeparking.co.nz, while a web page is “https://www.freeparking.co.nz/domain-names/nz/”. Domain names have to be purchased and no two sites can have the same one. They also expire and have to be regularly renewed. 6. 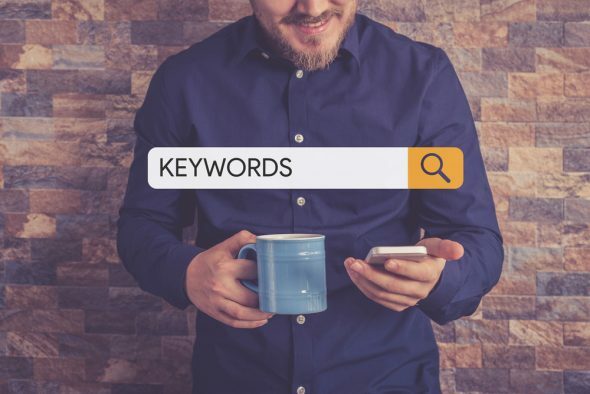 Keyword and Keyword density: A keyword isn’t necessarily a single word; it is often a collection of words. It is used to signify the core of an article. An article such as this would have the keyword, “SEO terms” or something close. Keywords are very important, they’re a substantial determinant of how search engines find web pages. Keyword density refers to the number of times a keyword is used in an article in relation to the number of words in said article. A high keyword density was believed to help focus attention on the subject matter and has a positive effect on SEO. This is not necessarily the case anymore and in some cases, an overly high keyword density might have negative consequences, by getting a webpage registered as spam. 7. Backlinks and Link building: This is an instance in which a link to a specific site is placed on another site. Backlinks help improve a websites search engine ranking as it implies trust from other sites. Link building is a combination of the processes undertaken to acquire more backlinks. This is an incredibly important aspect of improving a website’s SEO. 8. Anchor Text: This is the text that a link is attached to, clicking this text will lead to a destination website. Websites use anchor texts to link content to other web pages for citations, sales, cross-promotion, and more. Anchor texts typically appear underlined and in blue. For example, a “freelancewritinggigs” anchor text will lead to the site’s homepage or a service page. 9. Meta tags: This is divided into the meta description and the meta keywords. The information placed here tells search engines important information regarding a page. They greatly impact a page’s search engine ranking. 10. Meta description: Anyone who has used Google will have a good idea of what a meta description. It is the small description of a web page posted directly underneath the title. Search engines make decisions on what pages to display and how to rank them based on the relation of search word/phrase to the words in the meta description. 11. Meta Keywords: Admin of pages have access to the meta keywords list, and here they can place keywords related to the site. These aren’t meant for the reader, but for the search engines. They are no longer as much of a big determinant as they once were but it’s still worth it to set them. 12. Long Tail Keyword: Keywords are usually set to basic terms or words as these are the most likely for users to search. Long tail keywords are those intentionally set to less frequently used search terms. This is done to make a website stand out from the fold when searches are made for these particular terms, they are more likely to find these sites. There is more complex SEO related terminology but the above are important terms that anyone trying to create a successful web-based business will come across. It might be more efficient to contact an SEO organization, but even then, knowledge of these terms will keep any beginner in the conversation.